...because it has been a rocky time (snicker) at TLT this week. 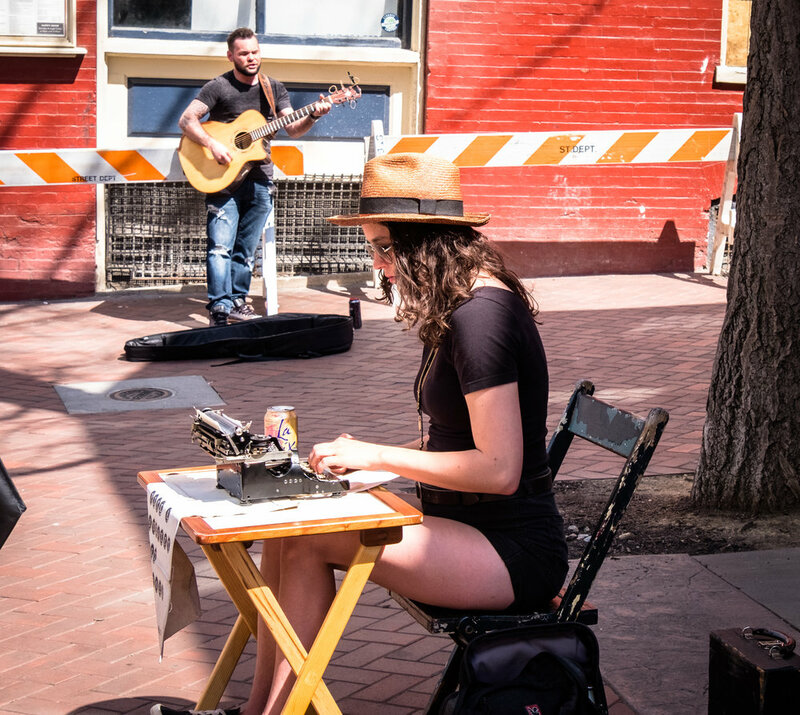 This performer was outside the Lancaster City Market in Pennsylvania playing for a small crowd. There was also a young lady near who would compose and type out a short poem for you on any subject on the smallest old typewriter. "Praise the Lord , for the Lord is good; celebrate his lovely name with music."